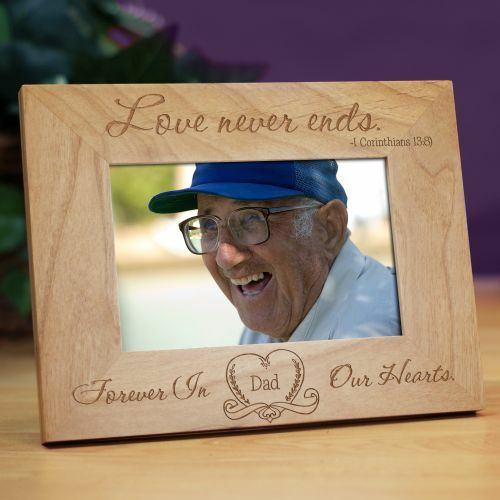 This Engraved Love Never Ends Memorial Wood Picture Frame is a great way to display the love you feel for a lost loved one. We will engrave this frame with any name or title in the heart. When words alone can not convey your sorrow, this beautifully Engraved Wood Picture Frame can say everything in one perfect picture. Very nice frame. I bought this for a gift. My friend was very pleased with it.